I have always been drawn to the amazing work done by Japanese quilter and fabric designer, Atsuko Matsuyama. 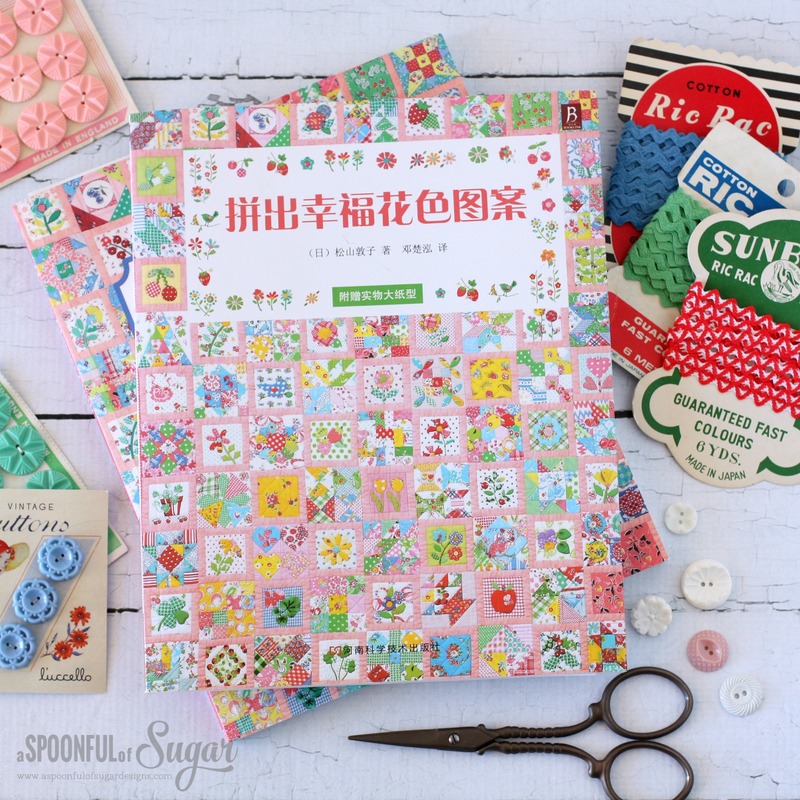 I bought her book several years ago (the Chinese translation) and was absolutely thrilled when I discovered it had recently been translated into English, and published as Happy Flower Quilts, by Zakka Workshop. 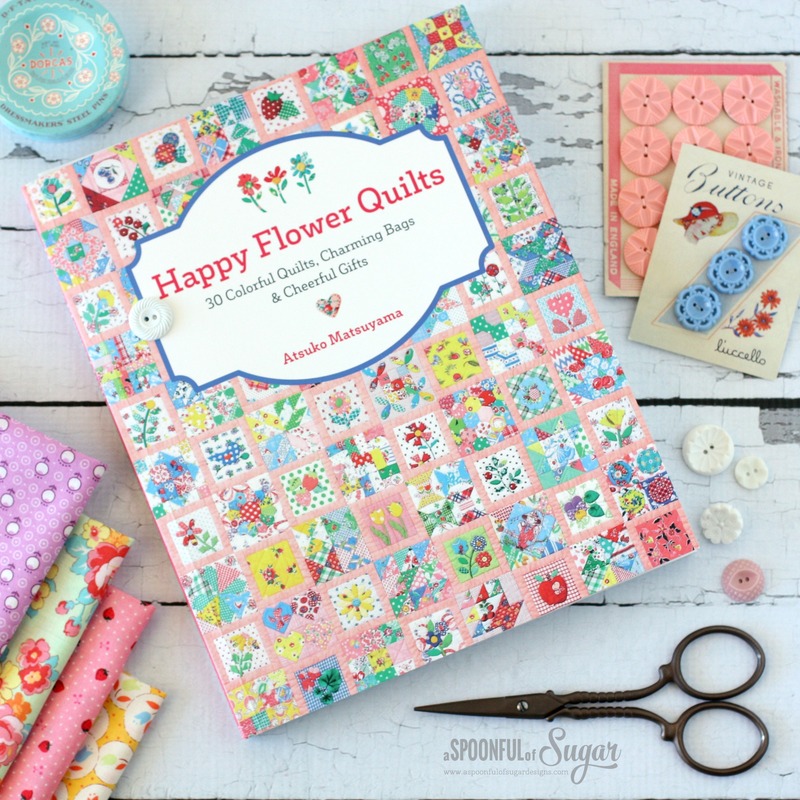 Happy Flower Quilts is a sweet collection of 30 pretty and cheerful projects, made in Atsuko Matsuyama’s signature style. I was also excited to see that Kristyne Czuperyk from Pretty By Hand (whom I greatly admire), is one of the technical editors for the English edition. I am so pleased to be part of the blog tour for this wonderful book. Here is my original copy in Chinese – it is so good to be able to read it now! It has been one of my favourite books – so much inspiration within it’s pretty pages. 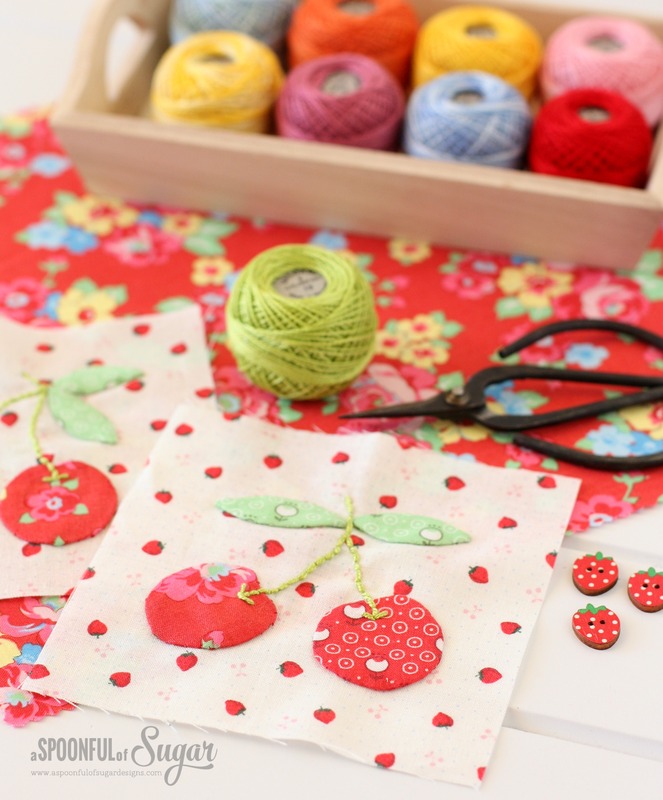 I love how Atsuko Matsuyma uses lots of sweet florals, polka dots, gingham, and retro fabrics. The projects are many and varied, and include quilts, bags, pouches, pin cushions, sewing kits, and more. The projects combine a number of techniques including patchwork, applique, embroidery, and quilting. The instructions are very clear, with plenty of photos showing basic techniques, and diagrams to help you through the construction process. The book contains full sized tear out pattern sheets. Many of the projects are suitable for confident beginners. 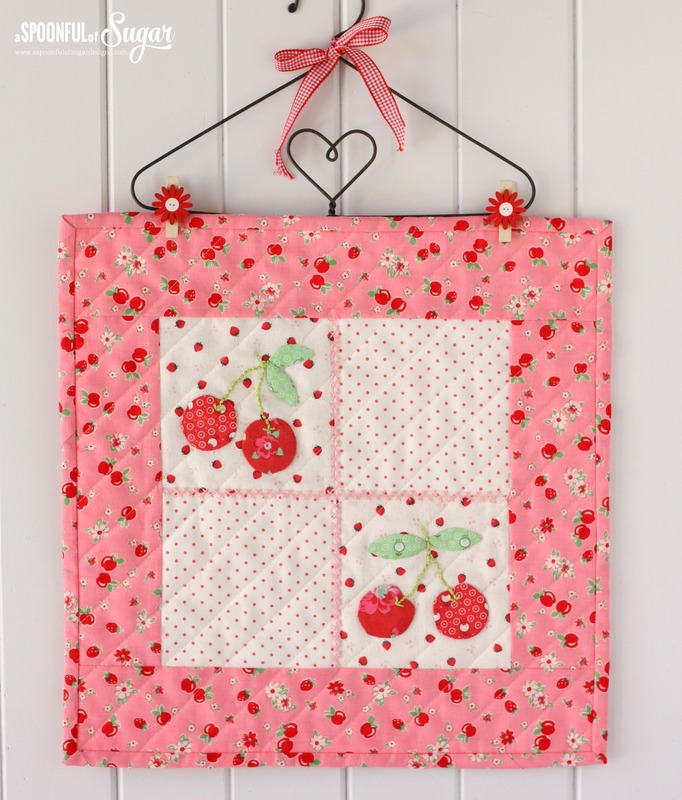 I was drawn to the Summertime Mini Quilt – I can’t resist cherries! I used some sweet prints from Retro 30’s Child Smile Fall 2016 collection by Lecien Fabrics for the cherry appliques. What I love about Retro 30’s fabrics is that different collections work well together. 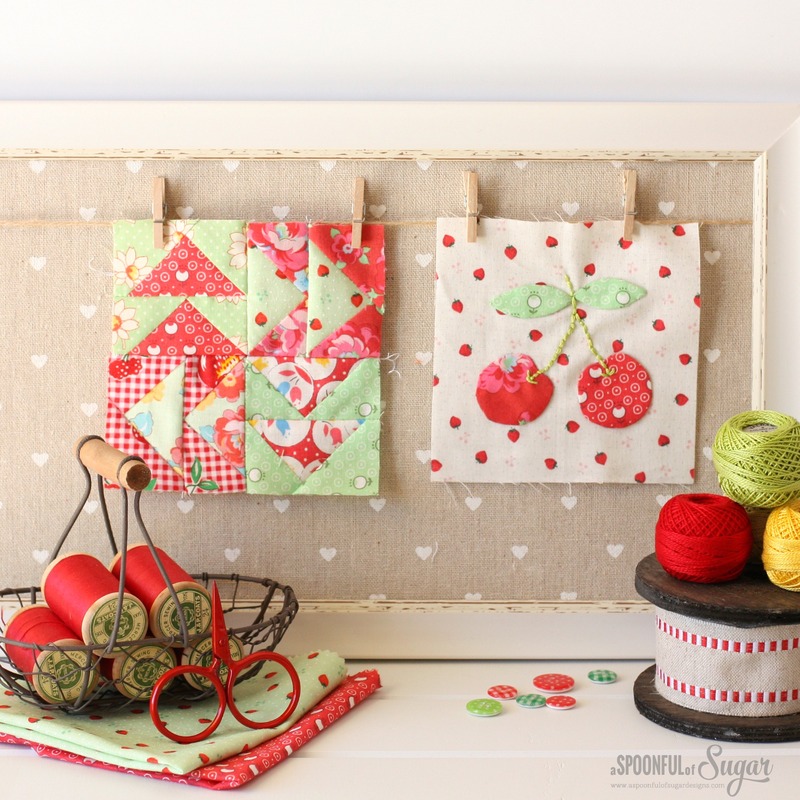 For the border and binding, I used a pretty apple print from the Retro 30’s Spring 2016 collection. 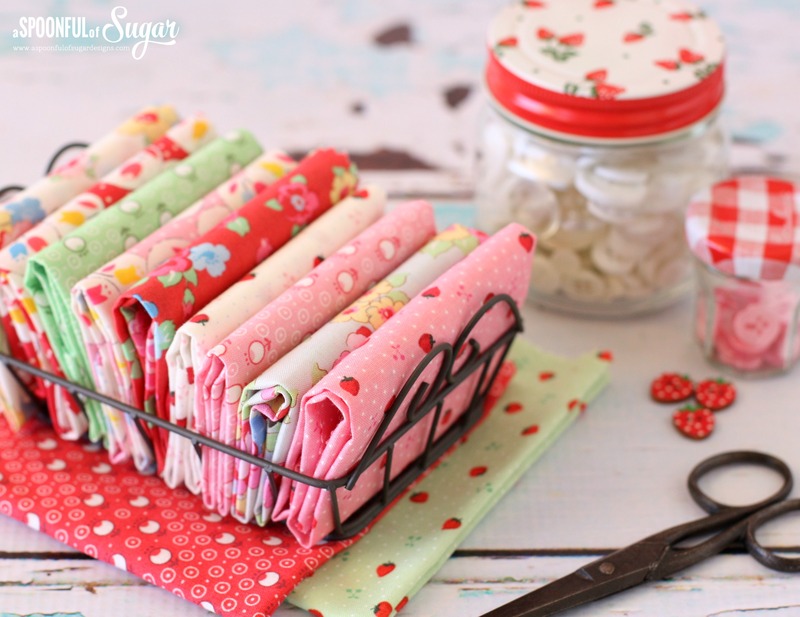 The instructions for the Summertime Mini Quilt were very easy to follow – it was such a fun little make! 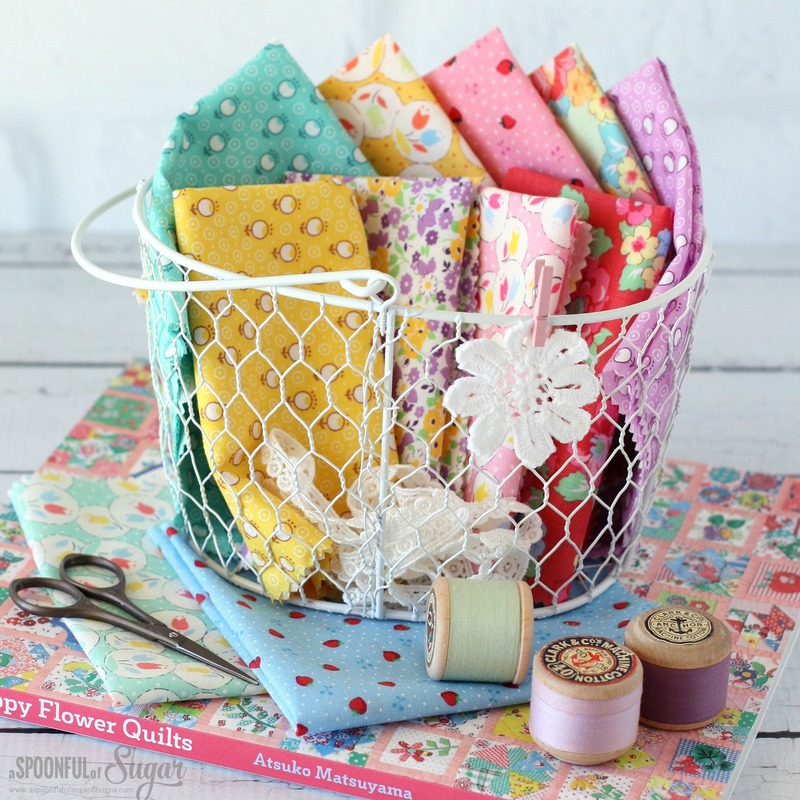 I can’t wait to make more projects from Happy Flower Quilts! 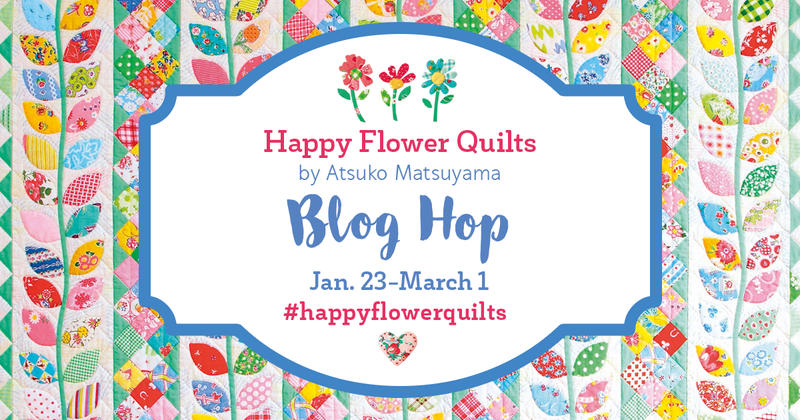 Zakka Workshop are generously giving away a copy of Happy Flower Quilts by Atsuko Matsuyama, at each stop on the blog tour. To enter, simply log into the rafflecopter giveaway box below with your email address or facebook account. Complete as many of the giveaway options as you wish – if you already follow A Spoonful of Sugar or Zakka Workshop on instagram etc, just click the button below for an automatic entry. Giveaway is open World Wide until February 14, 2017 . The winner will be notified by email and announced here on this post. Good Luck! Fabric I used in this project is Retro 30’s Child Smile Fall 2016 and Spring 2016, by Lecien Fabrics (available from Ministry of Fabric and Sew Stitching Happy). We hope you will follow along on the Blog Tour. 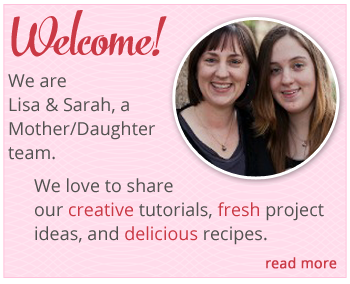 Check out the stops below to see what these talented designers are making from Happy Flower Quilts. There will be a Quilt Along over on Instagram (#happyflowerqal) featuring the Happy Flower Quilt Sampler (The cover sampler quilt). The quilt along will be hosted by Kristyne (@prettybyhand), Wynn (@zakkaart), and Melissa (@ohhowsweetco). It will kick off on March 6th and will run for about a year! We hope you will join in the fun. I’m a quilter so usually I make quilts but I love small projects. I love to sew bags and pouches the most. Your blocks are so pretty, they make a really cute mini quilt. These are so pretty, I love the design and the fabric is awesome! That is so pretty. I love small pretty makes. Perfect for gift giving. 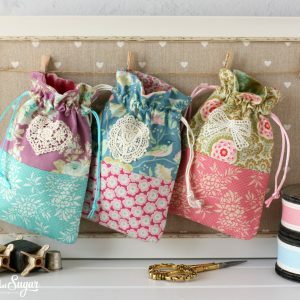 First I love to quilt, but I adore sewing darling little things to pretty up my sewing room. Bunnting and little wall quilts. Little drawstring bags and tooth fairy pillows for my grandblessing’s. Thank you for sharing this beautiful project…It makes me long for summer! Great fabric choices! Quilts but I plan to sew more minis because I have a new sewing room to decorate and the are so much faster and easier! Adoro costurar, mas gosto muito da parte da escolha dos materiais e especialmente tecidos para um projeto novo. 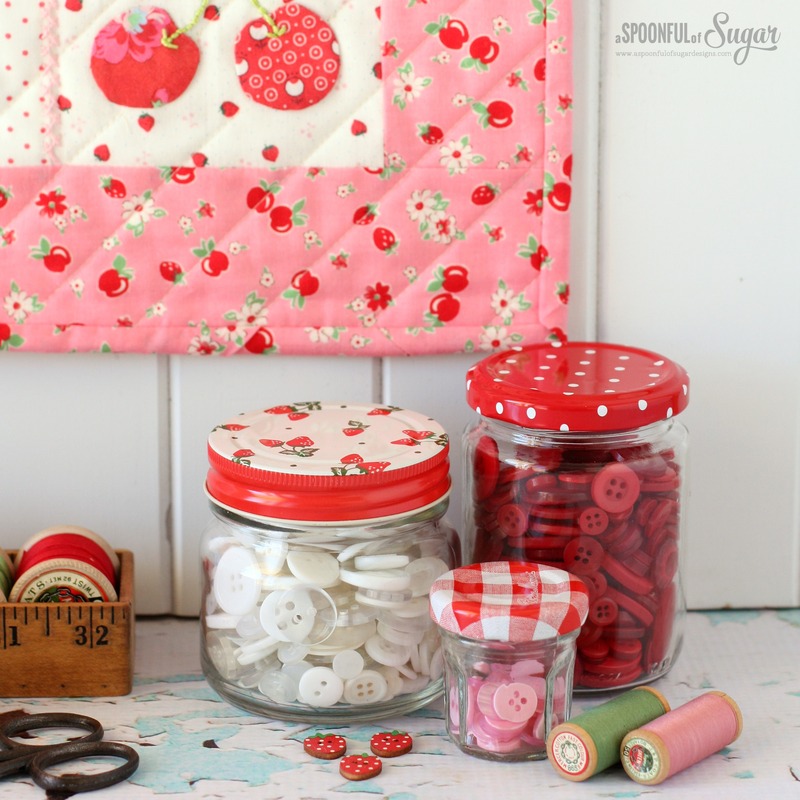 I love Atsuko’s s strawberry fabrics! And I know I will love this book to make wonderful things with them. Thanks for the chance to win. WHAT A LOVELY POST! Doesn’t this Book look great! Thanks so much for being part of the Blog Tour+sharing a great giveaway too! 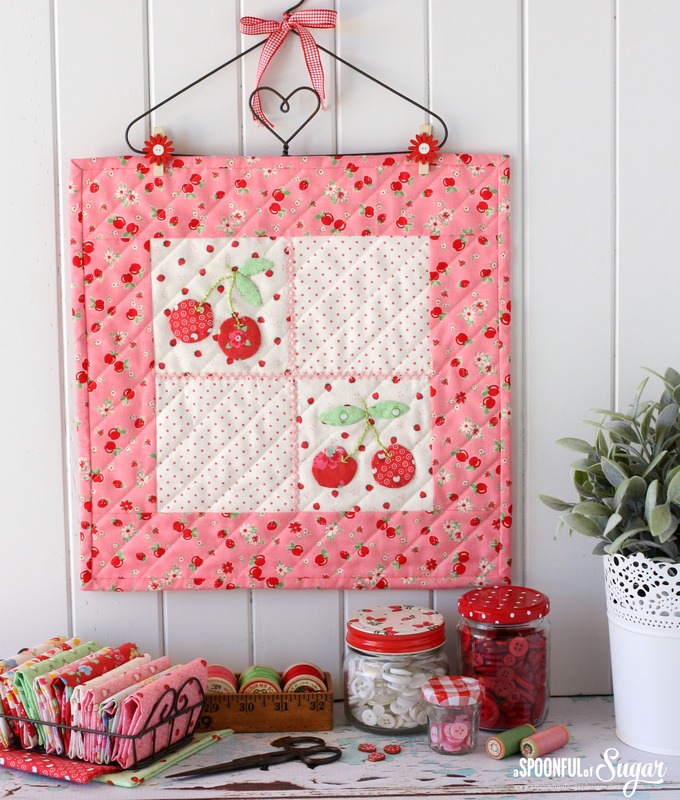 I like to make quilts, but also do lots of small projects–the book looks adorable! I would love to make an heirloom quilt and am inspired by Atsuko’s designs. Baby quilts. They’re not too big, & not too small. I am currently in love with bright, happy quilts. These fit the bill! My favorite items to sew are quilts and small bags! Thank you for the giveaway! I love to sew quilts, zipper pouches, and little zipper wallets and/or purses. I like to sew quilt tops…not too good at the machine quilting part yet! I love every one of those blocks! Her style makes me happy! Oh, and I love to sew quilts! I love making quilts but I also make a lot of small things, zipper pouches, mug rugs, needle books. I love them all! 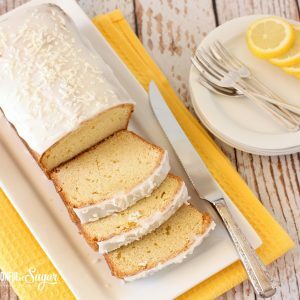 Beautiful blog post! I would love to make some things from this book! I love to sew miny quilts, zipper pouches, drawstring bags, and little patchwork projects. Thanks for the giveaway! No favorites to sew. If it has to do with fabric, thread, needles, I love it all. Gorgeous book. I didn’t understand why anyone would love a book that wasn’t in English, but now that I see some of the projects, it’s become clear. Harrah! for an English version. I like sewing bags. ThIs book is looking great. I want to try the projects in it. I like to do small projects in between my quilts because it makes me feel like I am completing something when piecing together a quilt takes a long time. I really should be more practical, but my favorite things to sew are small, pretty things that have no purpose. I love to sew small projects, aprons, bags, baby quilts. I love to sew Iddy biddy things for friends. Thanks for the chance! I like sewing something new…I always think I will make three or five of a project for friends, but after one or two I need a new project. Quilts, bags, garments–I sew them all. Smaller quilts are a favorite or adapting a larger one because they finish more quickly. I like to sew small projects, such as table runners, mini quilts and pillows. I tend to get bored easily if the project takes too long! I’m quite the amateur when it comes to sewing, I wish I could sew a quilt like this! I tend to make a lot of bags, I have boxes of them ?? I love to sew baby quilts. I have been making quilts. Lately I have enjoyed making pillows and mini quilts. I love to sew quilts and lately miniature ones. I would love to win a copy of the book. Your recommendation of this pretty book is very nice. It would be a wonderful addition to anyone’s library! My favorite things to sew are anything for my four Granddaughters…..and for our Grandson too!!!! SEW blessed!!!! So excited about this book!! Thank you for the chance to win a copy!! I enjoy making cushion covers and bags but I aim to do a quilt at some point this year. I love make little quilts and small projects. Thank you for the chance. It looks like such an inspiring book – I`d love to win it! Thanks for the opp! Sew? I dream of sewing quilts. But mostly I collect fabric! Everything to do with quilting, sewing and embroidery. All my gifts to everyone is handmade. I like sewing auilted items, clothes, bags and doll clothes. I enjoy making small quilty projects while working on larger quilts. I love needleturn applique and hand sewing my quilts!! I love making baby and children’s quilts. I like to add a touch of machine or hand embroidery to make it special for a particular child. Your makes are all so beautiful. I adore Atsuko Matsuyama fabrics and projects as well. I love fabric and colour so I like making lots of different things. This is so pretty. I like to sew all kinds of things from Mini quilts, bags and sewing accessories. I am also in the process of slow sewing a full size quilt. Hi … i love all what you make.. I have been seeing the Happy Flower Quilts book everywhere on the Instagram and all blogs and im sooo tempted to get one soon. I love making dresses, small cute gift items , kitchen accessories , costumes for kids – basically anything to do with sewing. I would love to have this book in my sewing room. So many pretty things to sew! What a lovely project! Love these fabrics! Love your project! I have been drooling over this book for years- so glad it’s now been translated to English! So much cuteness in one blog post! I love sewing darling little mini quilts! oh! and a special love for pouches and lined drawstring bags. My favorite thing to sew are quilts! I like sewing bags. All kinds, pencil cases, totes, fashion bags, you name it. I love making all sizes of projects but being I have a full time job away from home and my time is very limited I usually make smaller items like zip pouches or pillows. I love to make small things…zipper bags, storage bags, totes. I love the pretty things you make. So inspiring! I love the new bags, wallets, totes, but also pillows and quilts. Love this book. I like making quilts and usually make small projects in between for quick gratification. Small fast finish projects are the best! This book looks great. Thanks for a chance to win. 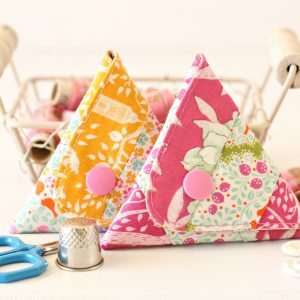 I love to sew pincushions, quilts and zipper pouches. I love your projects. They’re so pretty. My favorite things to sew at gifts–usually small projects that range from gingerbread dolls to teddy bears to small quilts. I love to sew little coin purses. My favorite things to sew are small, doll sized quilts. Ohh i love the gorgeous pastels and mini projects. Would love this! I love to make quilts, and recently have started to make mini quilts, which might become my favorite things. I like to make cushion covers or baby quilts but will have to try making the mini quilts, they are really lovely.